On December 29, 2018, Mme. 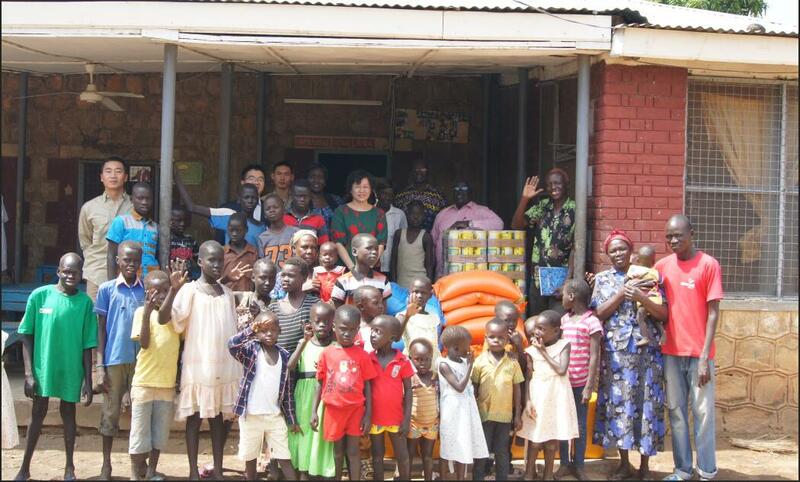 Xia Lining, wife of Chinese Ambassador to South Sudan, visited Juba Orphanage and Orphanage Straight Link Center separately. On behalf of the Embassy of China in South Sudan, Mme. Xia donated food items valued at over 5,000 US dollars to the children living at the two orphanages as new year gifts. The donation including 40 bags of rice, 30 bags of lentils, 30 jerikans of cooking oil and 25 cartons of milk powder. Mme. Xia extended the best wishes to all the staff and children for the new year of 2019. She said that children are the future of a nation. 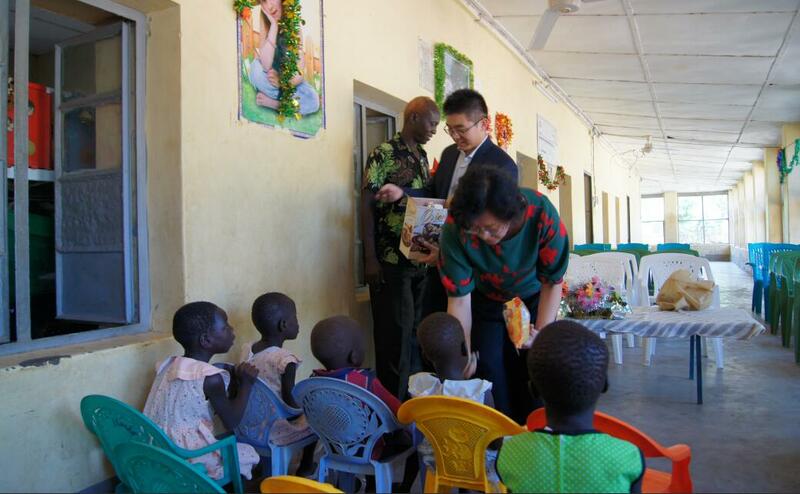 The Chinese Embassy is willing to provide assistance to South Sudanese orphanages within its capacity to improve their living and studying condition.